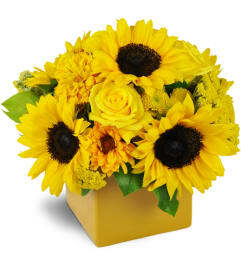 Behold, The sun is shining with this arrangement! 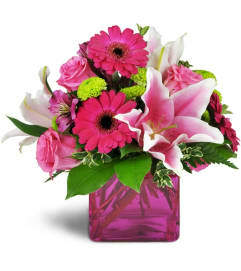 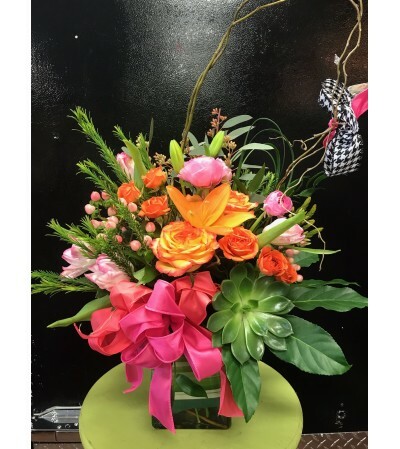 Vivid in color and striking with design, this arrangement is sure to bring joy! 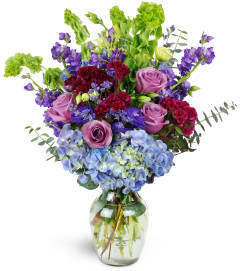 The arrangement shown is the "Standard" version, with the upgrade there will be more flowers and have a fuller look. 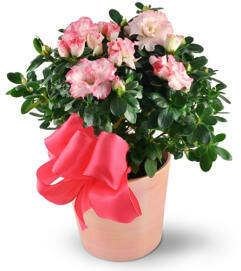 Plants, flowers, containers, ribbons and colors are subject to change due to seasonal availability.